He plays less minutes than most of his teammates and often finds himself engaging some of the game's toughest players. 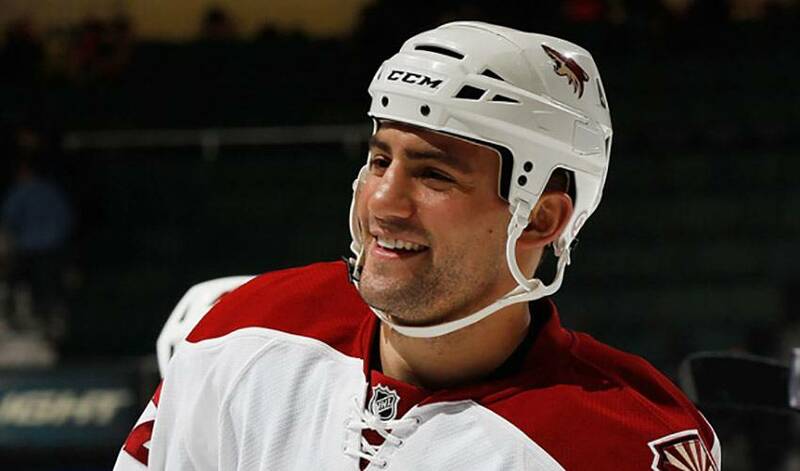 But it doesn't stop Paul Bissonnette from making his mark in Phoenix. On a typical night, Bissonnette, the Coyotes' rough and tumble forward, usually sees around five minutes of ice time. Though the number pales in comparison to almost every other skater, the 6'3”, 220-pounder works overtime to ensure he makes his mark. Still, the player who launched his professional career in 2005 with the Wheeling Nailers of the East Coast Hockey League, appearing in 14 games, then skating in 55 games with the Wilkes-Barre/Scranton Penguins of the American Hockey League, admits his role does have its challenges. Trying to rein in the adrenaline is Bissonnette's biggest predicament. It becomes even more important as the campaign pushes closer to the playoffs. As in recent seasons, securing a post-season berth in either conference is anything but a given. Once again, Phoenix finds itself in a tussle to net a spot in the top eight of the Western Conference. While the Coyotes might not have the same big-name talent as some of their rivals, the Pacific Division club has earned a reputation as one of the league's hardest-working squads, a group of players who play a full 60 minutes or more every night. After a February that saw Phoenix sport a sparkling record that saw them go unbeaten in regulation (11-0-1), including six, one-goal wins, giving up one or less goals in eight of the contests, the Coyotes stumbled in early March. With less than 10 games left in the regular season, Bissonnette and his teammates will look to book their third consecutive trip to the Stanley Cup Playoffs. Although his ice time will be limited, the left winger, who has built up a legion of fans on Twitter, intends to play his part in the team's push for the post-season. A player willing to go that extra mile to make sure every second counts.